‘Bella?’ Edward’s soft voice came from behind me. I turned to see him spring lightly up the porch steps, his hair windblown from running. He pulled me into his arms at once, and kissed me again. As Seattle is ravaged by a string of mysterious killings, and a malicious vampire continues her quest for revenge, Bella once again finds herself surrounded by danger. In the midst of it all, she is forced to choose between her love for Edward and her friendship with Jacob. Whatever she chooses, her decision has the potential to reignite the ageless war between vampire and werewolf. And with her graduation approaching, Bella has one more decision to make: life or death. But which is which? The stunning third book in Stephenie Meyer’s captivating saga of vampire romance. This has to be my favourite book of the series – it was very emotional . I love the romance between Bella and Ed! 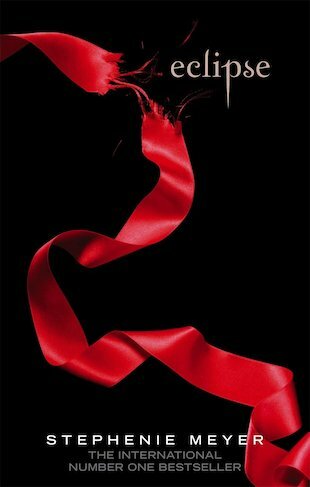 For me I think this is my favorite book out of the Twilight Saga. I find it ironic considering that this is the book where Bella kisses Jacob and I am extremely Team Edward but I think its because she finally makes her decision to marry Edward and that’s what I really love about this book. The love story between Human and Vampire is captivating and gripping- I will remember it for years to come.